Another year, another Volvo SUV claiming the top spot. This time round, few saw it coming. After the Jaguar I-Pace’s range and reliability issues saw it fall from contention, prime position on the COTY podium became a fiercely contested tête-à-tête between the Volvo XC40 and the Subaru Forester. It wasn’t the done deal that many initially expected. Every year at COTY there’s an initially unfancied outsider that doesn’t draw much attention but which seems to sneak imperceptibly through the contest, and this year’s car was the Forester. Separating two very strong contenders for the COTY crown resulted in some of the most knotted brows we’ve seen in years in the judging room. Ultimately, however, the Volvo’s genre-busting ingenuity was enough to see it claim a second win in a row for the Swedish marque. The XC40 is, in effect, half a size bigger than most of its direct competition without being significantly more expensive. Sit in an Audi Q2, a Jaguar E-Pace or a BMW X2 and they feel claustrophobic by comparison, the Volvo’s greater length, height and wheelbase doing enough to transform it from an urban bauble into genuinely credible family transport. There’s room for one six-footer to easily sit behind another, there’s stacks of interior storage, a decent 460-litre boot with an underfloor spare and a long list of thoughtful features like flip-down headrests on the rear bench, high quality touch points and 97 percent recycled carpeting. You won’t find a more spacious premium SUV in this particular category. Judges were impressed by the XC40’s value proposition. Like the Forester, this was a car where you could conceivably buy an entry level model with no options and be completely happy with what was delivered. That’s rare these days, and acts as a key point of differentiation to the Volvo’s European rivals, most of whom need a big additional outlay to really shine. Our group test in August was indicative, the XC40 merely wearing $1150 worth of optional paint to win the comparo, while every other rival ladled on between $11k and $14k of residual-wilting extras. Likewise, it’s hard to fault its safety provision. Even the base model gets seven airbags, AEB, blind spot monitoring and rear-cross traffic alert. Rear Collision Mitigation Support works when the car is at a standstill, signalling to cars approaching too fast from the rear and, if it thinks you are about to be rear-ended, it tensions the seatbelts and applies the brakes. Complementing that tech is Front Collision Mitigation Support that’ll automatically steer to avoid a head-on between at speeds between 60 and 140km/h. The all-wheel drive versions of the XC40 scored a full five safety stars on ANCAP’s new tougher testing protocol, while the front-drive T4 versions weren’t tested. While the range-topping $56,740 T5 R-Design felt like a hot hatch on stilts, its 185kW 2.0-litre four pot and locked-down body control making it alert and edgy, but the more malleable T4 Momentum also impressed. You’ll sacrifice drive to the rear wheels, some equipment and a stack of kilowatts, which is why its likely XC40 sales will top-weight, but the $44,990 XC40 T4 is upspec Holden Equinox/Kia Sportage money and feels several leagues removed from that blue-collar company. It’s good to be able to offer that breadth of choice, but it did leave us wondering whether the pick of the bunch might have been the only one absent from COTY this year, the comfortable and well-equipped all-wheel drive $50,990 T4 Inscription. While repetition is the key to accurate vehicle testing, driving the Volvo on this familiar test route made it hard to escape the notion that the XC40 wasn’t as polished as last year’s champ, the hugely impressive XC60. Driving a Volvo SUV on the same roads made thse sorts of comparisons inevitable. So was the class of ’19 a weaker cohort as a result? Not in any way. It’s unreasonable to expect a cheaper Volvo to ride with the panache of a more expensive one and, in its class, the gap between the XC40 and most of its key competitors is probably wider than that evident between and XC60 and, say, the BMW X3 or the Audi Q5. Part of the XC40’s appeal is that it purloins so many of its bigger sibling’s interior elements. There’s an easy familiarity to the big portrait-oriented centre screen, the wheel-mounted controls and the stereo functions. Bringing 90 percent of the XC60’s excellence to a considerably more affordable price point is the real story here and, in that regard at least, the XC40 is probably the bigger and more relevant achievement for Volvo. It forensically knocked over all comers when its scores against COTY’s five criteria were calculated. Editor Inwood’s notes summed up what everyone was thinking. 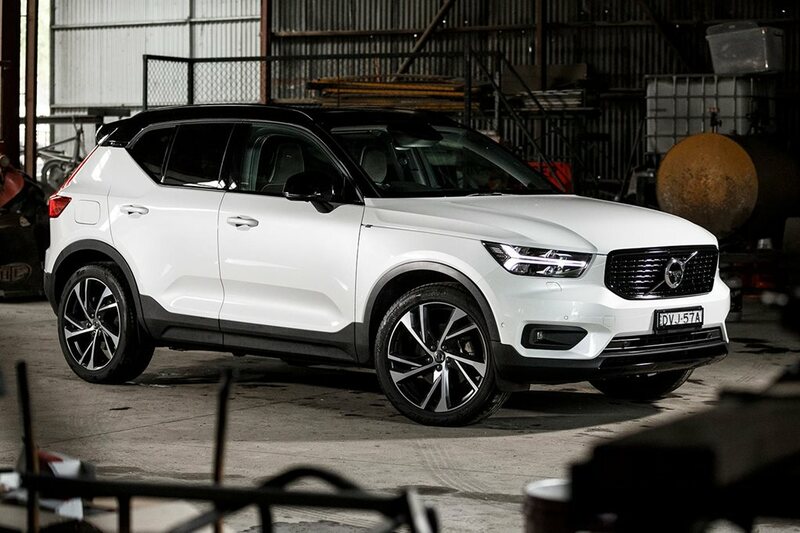 “Has there ever been a more successful company turnaround than Volvo’s recent form?” The XC40’s well-deserved win demonstrates that revitalised Volvo’s story arc still has some intriguing chapters to come.